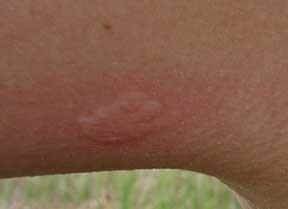 Several reports of stings have come in lately so I thought it would be a good time to review this interesting insect. 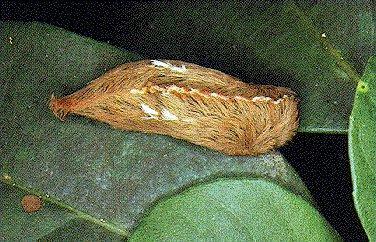 Puss caterpillars are the larvae of flannel moths. The name puss caterpillar comes from the pretty hairdo that resembles a pussycat’s fur. 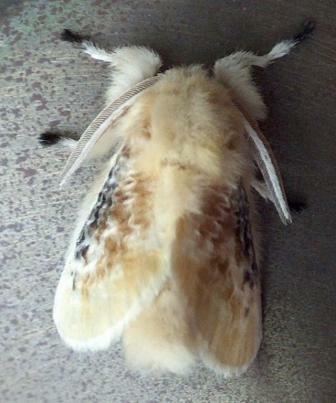 The adult moths are pretty, the larvae are too, but they are dangerous. Size: Adult -1", mature larva -1"
Biology and life cycle: One generation per year. Winter is passed in cocoons attached to twigs. 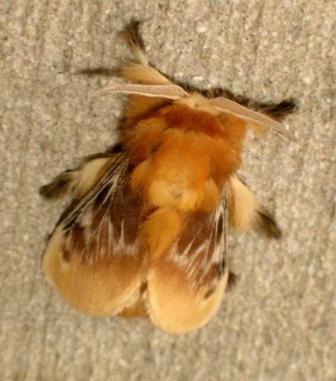 The moth emerges from an over-wintering cocoon in late spring or late summer to deposit its eggs on trees and shrubs. 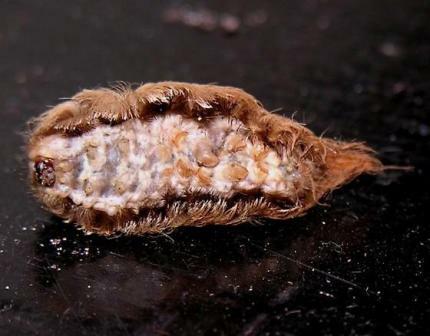 In a few days, the eggs hatch into tiny, fuzzy, whitish larvae that look like small tufts of cotton. Puss caterpillars become darker as they mature. Complete metamorphosis. Organic Control: Bacillus thuringiensis or plant oil products.